Baby Rayne in her Baby Box. We’ve now reached a new phase in the baby box pilot, where we are visiting mums in their homes one month after they have received the boxes to see how they’re being used. The first four follow-up surveys took place on Friday, and the Nairobi team were very pleased with the results. It was great to hear that the four mothers surveyed had all gone for their postnatal check-ups (one of the initial aims of the baby box programme) and that three out of four of the mums had read the instructions on the lid of the box. Most of them mentioned that the mosquito net was a very important addition for the safety of the babies and they may not have got them if they were not provided. From our point of view, it was very positive to see that the boxes were still being used and were still in good shape after a month. Fenicah, one of the first mums, said that she used the box a lot during the day, and occasionally at night, and that it was especially useful when she was working. 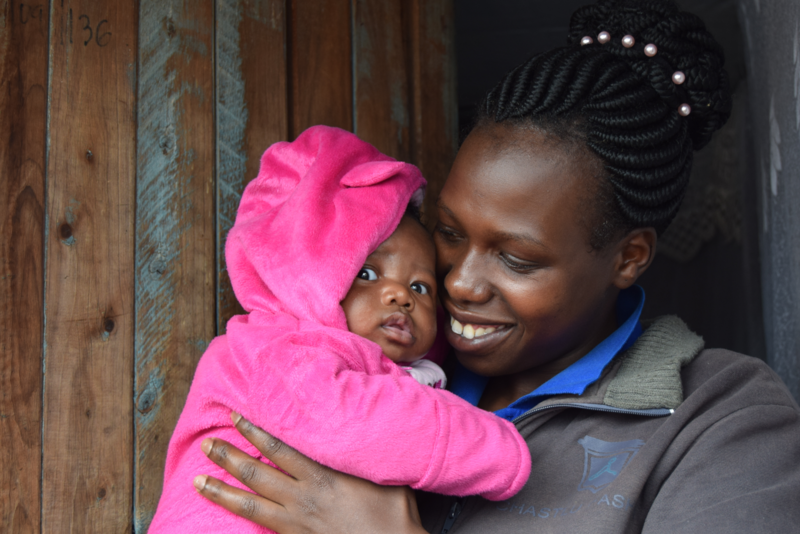 Harriet, said that her baby Neema was happiest when he was in the box, and that he slept more soundly at night because the mosquito net stopped him from being bitten. Most of the women so far have found the box especially useful during the day when they’re working and cooking. Sarah, who has twins with a baby box each, finds the baby boxes useful because it means that the babies each have their own space, and said that the boxes help them sleep. As well as following up on how the boxes were being used, the surveys are also a good opportunity to check up on the health of the mums and babies. A few of the mums we visited were struggling with breastfeeding, or were anxious about how to continue when they returned to work. The Community Health Volunteers, Ammey and Chris, who came out with us, were able to use some of the training they’d received on the postnatal training day the day before to advise the mothers. This is just a taster of the results of the baby box programme, but obviously lots more surveys are required before the definitive conclusions can be drawn. 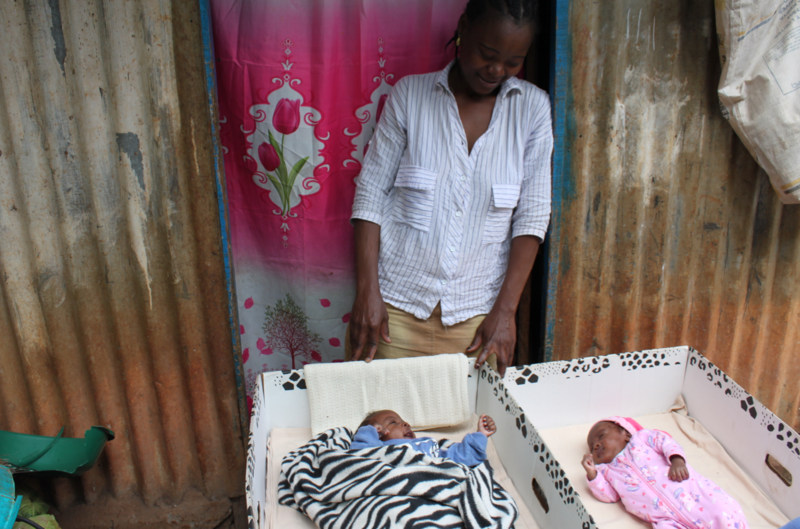 From the four mothers and five babies we met, we saw that the baby boxes are making a real difference to their lives. Amelia and Rona are on a Charity Fast-Track placement in Nairobi with the Child.org programming team. They will learn about how our comms team collects and uses stories and other content from our programmes, while they collect valuable content for Child.org. They're also taking over the Child.org Instagram for two weeks! Follow their posts at instagram.com/childdotorg and see all thier blogs here.